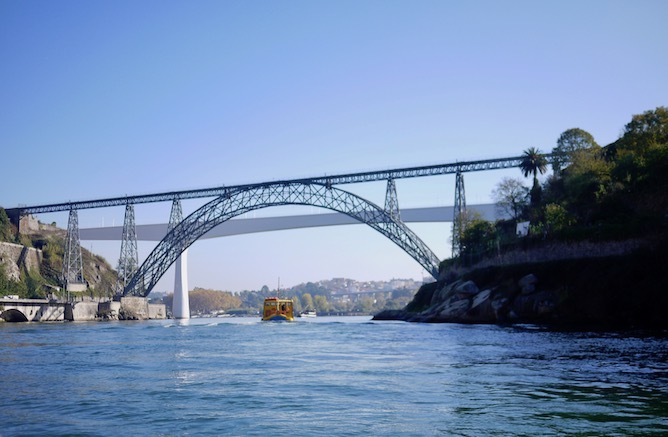 Brace yourselves: it’s time to discover the Porto bridges! If you didn’t get the joke, it might help taking a look at why are Gaia and Porto two different cities, as an introduction. Porto bridges (or pontes, in Portuguese) are definitely the most appealing ones in the country. There are currently 6 over the river Douro. But their history traces back further, and even to other non-existent bridges! 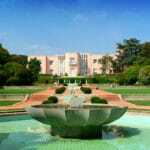 What is it: Inaugurated 15th of August 1806 and designed by Carlos Amarante. Using a series of boats holding wooden planks to cross a river was not an original idea. In fact, the earliest record of it, in Porto, traces back to 997 AD. 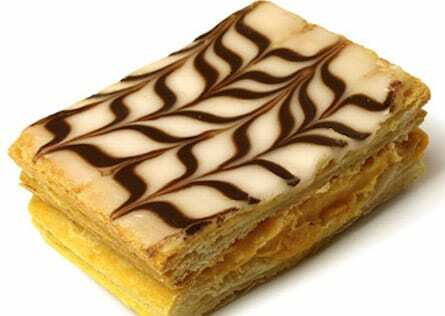 They were so good that for over 800 years there were no other kind. 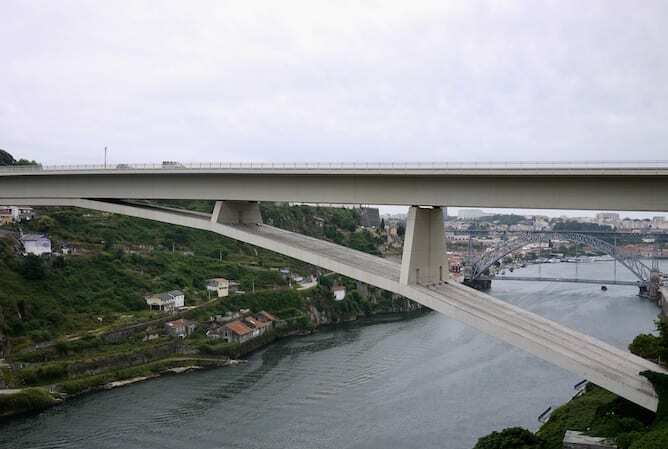 The last chapter of this millenary engineering is, as Porto bridges go, also the most tragic. This Porto bridge was meant to be permanent. It was more stable, went up and down with the tides, and it could dismounted and reassembled. The problem was the constant flooding of the river, which ultimately caused its replacement 40 years later. What’s special about this bridge? During their second attempt to occupy Portugal, the French troops reached the city of Porto. 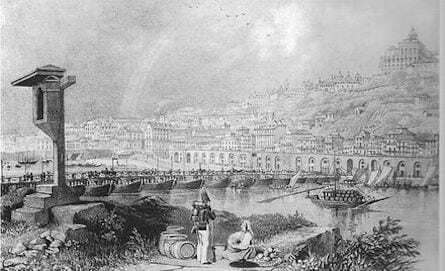 Following an ultimatum – answered in the typical challenging Porto way -, the army commanded by general Soult invaded the city. On the 29th of March, as the French marched into Porto, thousands of people tried to cross the Boats Bridge to find safety in Gaia. The bridge wasn’t ready to hold this much weight, and it eventually collapsed. What made it even more tragic was that the people following behind didn’t notice the collapse, due to the panic. They kept on pushing, as more people fell into the Douro river. Hundreds of people perished that day, to what is still known today as the “Boats Bridge accident”. Such was the tragedy, that still to this day the Portuenses pay homage to the “Souls of the Bridge” (the name given to the victims) in the neighborhood of Ribeira. Inaugurated 4th November 1877, designed by Théophile Seyrig (BE) / Gustave Eiffel (FR) (Groupe Eiffel et Cie.). Named after the Queen consort at the time, this Porto bridge is nothing short of amazing. 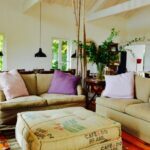 Its brilliant design features iron beams that compose the variable width parabolic arch. It pushed the boundaries of engineering: it was the first structure to completely take into account the effect of winds; for 7 years it stood as the record for the widest metal arch in the world; and it was vital for the railway network of the country. With the recent prize of “International Historic Civil Engineering Landmark” awarded by the ASCE (“American Society of Civil Engineers”), it stands as the one of the most important monuments of Portuguese industrial archeology. Unfortunately, with a single rail and maximum speed of 20 km/h, it soon became insufficient for the traffic between Porto and Lisbon, eventually being replaced with the São João bridge. This is the Porto bridge that Eiffel built, then! Well… yes and no. We know that most of the design work was done by Théophile Seyrig (especially the parabolic arch), but the project was signed by both. It’s impossible to know to which extent each had their part. But we can have an idea. Consider Théophile’s exit of Eiffel’s company (Groupe Eiffel) and joining a competitor in Belgium due to divergences. Naturally, Eiffel would want to credit him the least possible. Besides, Théophile wasn’t done writing his name in the history of Porto bridges yet. Behold, the most emblematic of Porto bridges! This is a truly Porto bridge, since it connects both levels of the city, as well as downtown Porto and Gaia. 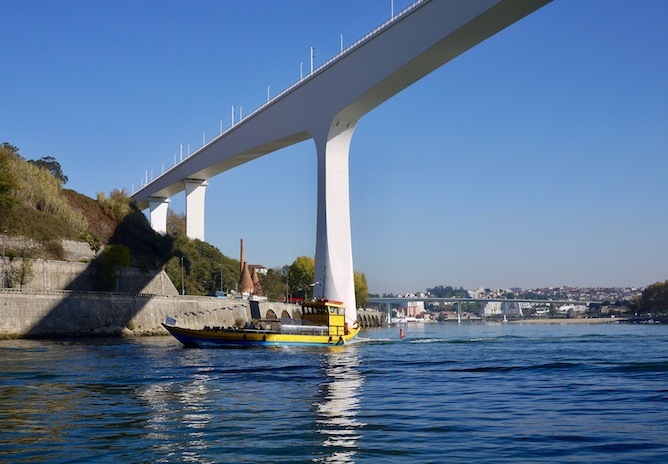 If you want to put Porto in a single image, the Ribeira area is obligatory, with the Rabelo boats sailing along the shiny river Douro, and centerpiece to all of this is… the Luiz I bridge! Eiffel built the Luiz I bridge, right?! No. Not only he DIDN’T build it, he even lost the competition for the project against his former colleague and disciple, Belgian architect Théophile Seyrig. What’s so special about this Porto bridge, then? 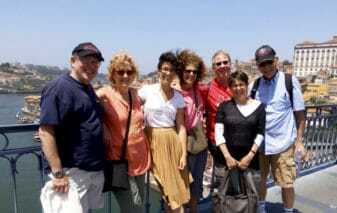 The bridge was named after Dom Luiz I, the Portuguese King back then (whose wife was Dona Maria Pia, the former bridge). But you will notice that his name isn’t preceded by the usual title of “Dom”, as every royal used to have. Its inauguration was anticipated to coincide with the King’s birthday. “His Majesty”, however, never came. 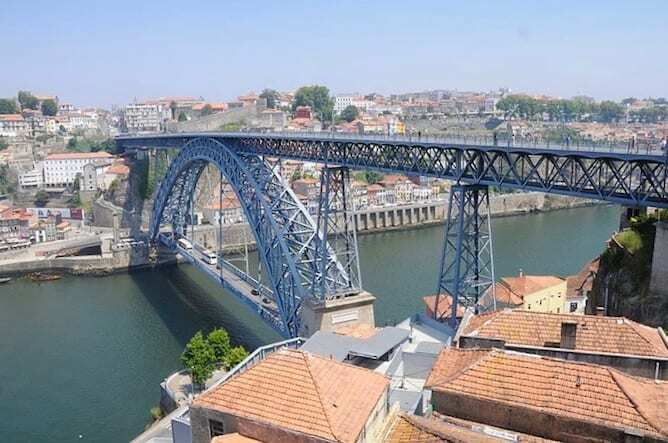 Some people still argue that it was this lack of consideration to Porto, having a bridge with his name inaugurated on his birthday, that they stripped the title of “Dom” as payback. But it’s most likely related with a liberal instinct of those constitutional times. 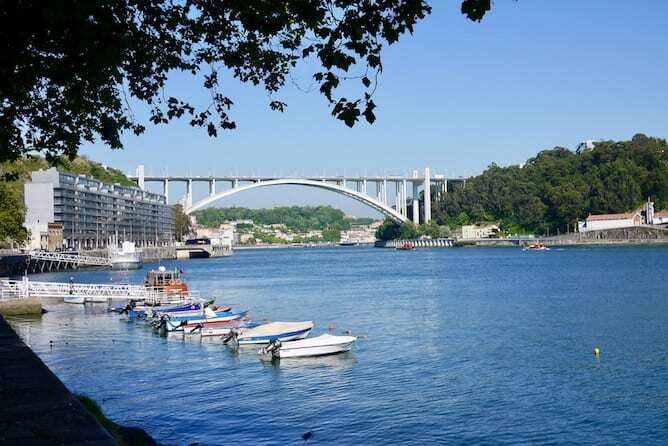 Inaugurated 22nd June 1963 by the hand of Édgar Cardoso (PT), it is our favourite Porto bridge here at Portoalities. The compliments to the impressive engineering date from its very inauguration, no need to wonder why. Elegance and engineering together are at its best here. Of all Porto bridges, this one is the most exposed to the force of Nature. Its proximity to the sea (a mere 2km away) makes this construction awe-inspiring in its resilience. Snatching the record of biggest concrete arch in the world (from the Sandö bridge in Sweden), it was entirely built without computer analysis – back then all the complex calculations were made analytically! So… what’s special about this Porto bridge? Hold on, we’re getting to it! First of all, Édgar Cardoso himself came out publicly saying: “We, in all honesty, must confess that even though we look for the analytical solution of everything – even with long operations – it is only after the experimental confirmation that we set off to calculations”. Basically saying: we first try things out and only then work out the math! It was probably this innovative approach that allowed him to build such a breakthrough. Such was the engineering feat that a lot of people, at first, wouldn’t cross afraid it would fall. There are even reports of Swedish engineers coming to Porto, fully convinced the math wouldn’t hold up, to see it fall. One of the most beautiful settings for a romantic dinner is related to this Porto bridge. The italian Casa D’Oro operates in the building, right beside the bridge and built at the same time, called the “Engineers’ House”. Used by the engineers and construction directors during construction, it’s no wonder that they built the best for themselves! What is the best way to see the Porto bridges? Here at Portoalities we are quite found of the 6 bridges cruise in the Douro river, which allows you to see all the Porto bridges in 50min. We prefer to save ourselves some time and buy the tickets online. Then, you just need to print them and show them at the boat. 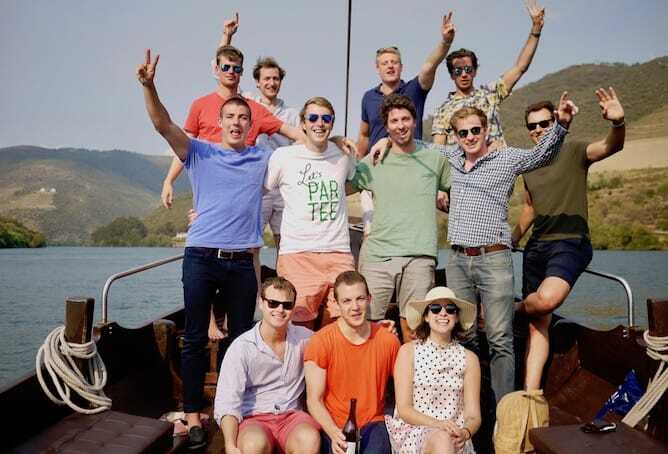 Important note: The online tickets to the 6 bridges cruise is valid from the decks in Ribeira, in Porto, not in Gaia, on the other side of the river. 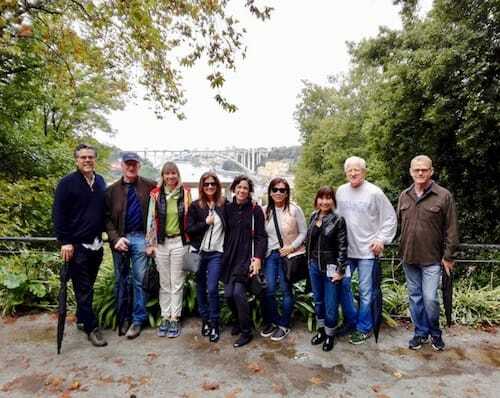 Many people choose to buy the combined ticket to the Hop On Hop off bus tour + 6 bridges cruise + Port wine cellar – if you buy it online, it’s a bargain, which is why we include it on the widget above! Inaugurated 24th June 1991 by the hand of Édgar Cardoso. As the D. Maria Pia bridge soon became insufficient for the railway traffic, authorities wanted to get it right this time. So they got their most brilliant engineer of the time (yes, Édgar Cardoso yet again) to build it, and called it after the patron saint of Porto: São João (i.e. Saint John the Baptist). The idea to build a second railway bridge began as soon as the Arrábida bridge was completed. The philosophy was to never change a winning team, so they went at it again! Engineer Carlos Ferraz, of the Édgar Cardoso Engineering Cabinet, has described him as a gifted and creative man, which often times thought like an architect. Cosmopolitan, but also very disciplined working long hours and strictly followed meal breaks. “In every river there is a place to build a bridge. We only have to discover where”, said Édgar Cardoso. 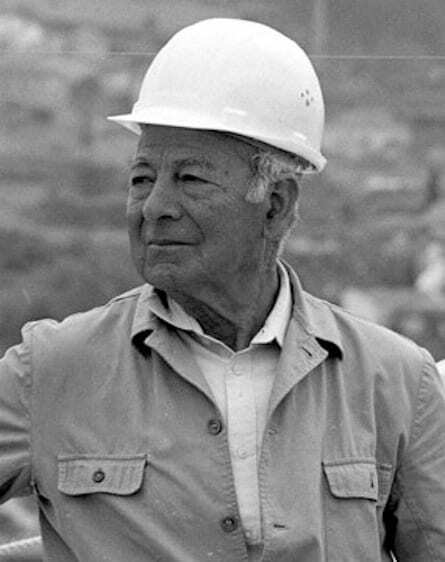 He has become, safely, the most brilliant Portuguese engineer of the 20th century. Even though his brilliance didn’t fade with age, he did become harder to work with. Like in Gaudi’s “Sagrada Familia”, the engineer never delivered the complete construction guidelines. Adding to the constant concern that Édgar Cardoso might not live to see his bridge finished (or anybody else, for that matter), the engineer had disputes about budget issues and materials used. Disagreements about the inauguration date – which he thought was premature – and political controversies culminated with his absence from the inauguration ceremony. Inaugurated September 1995, designed by António Reis (PT). The most functional and intensely used of all Porto bridges. Once again, traffic had to be relieved, this time from the Luiz I and Arrábida bridges. Nonchalantly named after the area of Porto where it lies upon, it is the most upstream Porto bridge. 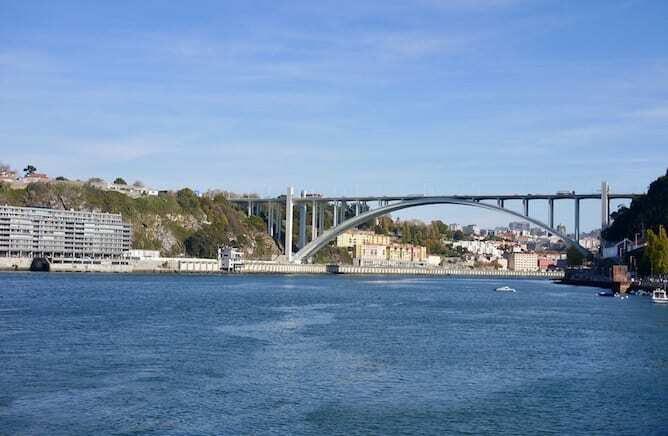 The internal highway of the city (VCI) connects the Freixo bridge to the Arrábida bridge (the most downstream bridge). 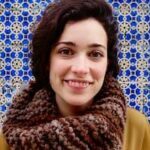 Tell us more about this Porto bridge! This bridge is, technically, two bridges. 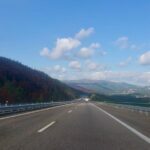 To make it structurally sound and seismically safe, and to accommodate its two-way (4-lane each) highway, two decks were built side-by-side, a mere 10cm apart. 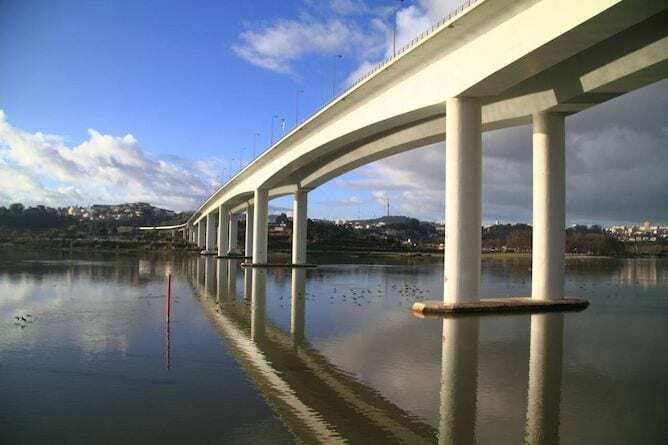 It is, at the same time, the lowest and longest Porto bridge. When the top deck of the Luiz I bridge got earmarked for the light-rail Metro system, the Porto bridges club won one final member. The “Infante” bridge is the most modern bridge of Porto. The most boring one too, ey? Inspired by several bridges in the Alps, its 280m arch span is a world record for its type. It retains its identity amongst Porto bridges, despite being the most recent. But, most of all, it refers to the past. Named after one of the most prominent portuenses – Infante Dom Henrique, internationally known as “Henry, the Navigator”. Poetically placed between the two oldest Porto bridges, thus connecting old and new in a typically Porto style. Designed, of course, with a record-breaking arch. 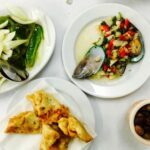 Thus connecting tradition and contemporary, past and future, as well as… Porto and Gaia.